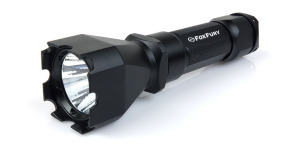 The limited edition Alpha has the same distinctive knurling common to other Elzetta flashlights and features black engraving that stands out well against the bright yellow background. Black Dove Customs of Shelbyville, KY applied the professional Cerakote coating over the Elzetta hard anodized finish. The resulting product has a slightly smoother feel than the regular anodized Alpha. The limited edition status of the Alpha is also engraved upon its tailcap which sports the familiar Elzetta “Z” on the tailcap boot. A click-type switch is used which provides momentary operation with a partial press and constant-on operation with a full press, and click, of the switch. 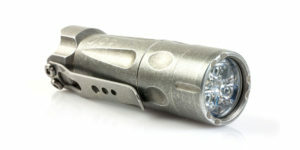 The Limited Edition Elzetta Alpha also borrows the scalloped bezel from the Elzetta Mini-CQB weapon light, providing a different look than than the regular Alpha. The Mini-CQB bezel is decidedly more pocket-friendly than the typical crenelated bezel. 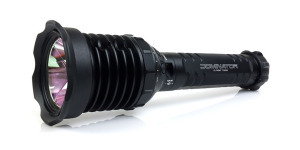 Powered by an included CR123 lithium primary battery, performance specs are unchanged from the regular version, with 315 lumens of output focused by a solid acrylic optic. 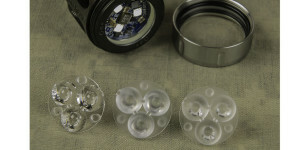 Check out the Elzetta Alpha review for beamshots and runtime information. 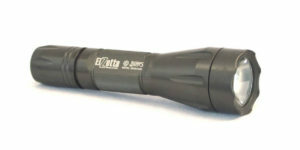 The Limited Edition Elzetta Alpha is 100% Made in the USA and is priced the same as its regular counterpart at $140. As with previous limited editions from Elzetta, this combination will only be offered once. When they’re gone, they’re gone! For more information about the Limited Edition Alpha, visit the Elzetta website. 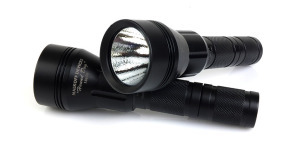 Posted in Elzetta Reviews, Flashlight News, Flashlight Reviews and tagged Elzetta, LED Flashlight Reviews. It does look and feel like a tank, made in USA, built to last generation, this yellow limited edition piece is also looks different from others. there’s hardly anything to complain about it. Expensive. Yes. But it’s worth.